Our Glass Fibre Composite grit bins are the toughest available and are manufactured with a lightweight core encapsulated in 20mm high impact strength glass fibre composite. The bin has a capacity to hold up to 476kg of grit / salt and features a hinged lift up lid that allows easy access to the grit / salt. The grit bin is ideal for locating in residential areas, schools, colleges, car parks and by the roadside and to keep your grit/salt secure, an optional hasp and staple can be fitted to the bin. 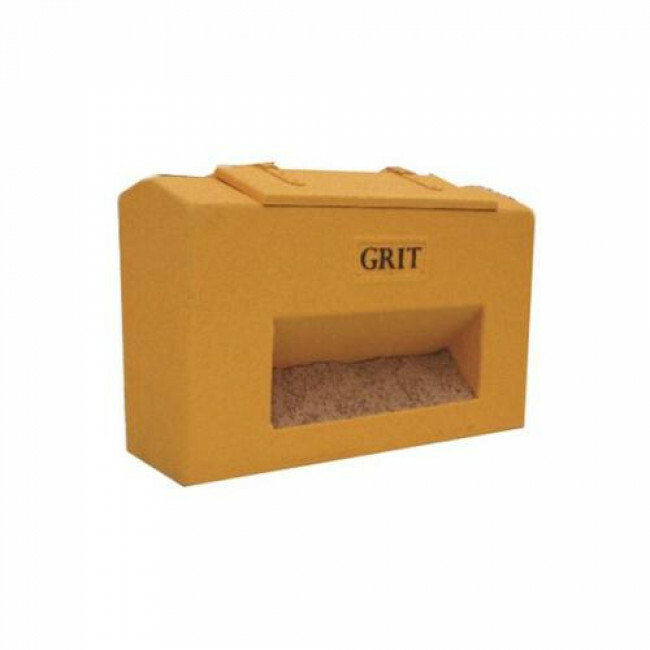 With this grit bin there is an options of either a textured or smooth finish (at an additional cost) and a closed or open front (also at an additional cost) - this allows for easy access to the grit with a shovel rather then from the top opening. There is also an addition optional of fork lift runners - these make the bin easier to move and position when full of grit / salt.